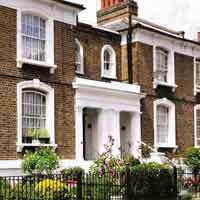 Godwin Developments (“Godwin”) is a UK focused regional property development and investment business. Godwin Capital No 1 Ltd is part of its fundraising division. Godwin’s strategy is to build and monetise an extensive and diversified portfolio of residential, commercial and mixed use freehold property assets primarily through investment in sites to develop out with the option to sell or hold for income. programme, whilst maintaining an appropriate balance between risk and return.